The highest praise that I can give 31 Rue Cambon is that it is gorgeously made and absolutely seamless from start to finish: no one element stands out as it makes its slow transition from a bright, shimmering aldehydic scent through a lush but restrained not-quite floral (with yet more of that Chanel iris which, like that of 28 La Pausa and Cuir de Russie, is unobjectionable) to a base which is clearly supposed to be the modern oakmossless interpretation of chypre but which is actually a very pleasant warm woody haze. The whole thing smells of elegance, quiet good taste, expensive refinement. I only wish I liked it more. I don't know what my problem is. It's so well made and so obviously good, and yet it leaves me cold. It reminds me of something I smelled in the eighties, something, uncharacteristically, that I cannot put a name to; there shouldn't be anything wrong with this, but despite its theoretically being a "new chypre", it doesn't seem particularly new to me. Never mind what I think. Many others adore 31 Rue Cambon, with some calling it the jewel of the Les Exclusifs collection, and it probably is. You ought to try it just to see what's being done nowadays in high-end perfumery. You will probably fall in love with it. Me, I'll stick to the delicious Coromandel, absolutely the high point of the entire collection. There is a dilemma in writing critically about any art form, and it is this: the writer cannot simply like every incarnation and permutation of the art form (food, opera, perfumery, film, wine, clothing, whatever) that he is writing about, because that demonstrates a certain lack of discrimination, but that same discrimination means that he cannot write fairly about certain artists or forms. If you do not like Martin Margiela's clothing design, then when you write about his latest show you are probably going to be critical of it: but conversely if you love everything he's ever done, then you are not an objective observer. If you go to a certain beloved chef's restaurant and know he's working that night, you are likely to be more generous in your assessment than if it's a second-stringer working, or a chef you don't care for. Perhaps--probably, in fact--there are people, professional critics, who can be absolutely fair in their assessments, who can ignore the fact that they don't much like Don DeLillo when reviewing his latest novel, and simply judge it on its merits--but I am not one of those people. I don't like irises. In any real quantity, they make me recoil. Therefore, I don't like perfumes based on the iris; I can't be objective about them. Whenever I end up talking about an iris-based scent, I feel as if I have to make note of this fact, in the interests of fairness. So imagine my surprise when I tried 28 La Pausa, and then tried it again and again (because I can't properly judge something as complex as a scent by experiencing it once), and discovered that it started out with a pale silvery iris, and yet was remarkably pleasant for all that. Just now I'm wearing it, as I always am when I'm writing about a scent, and I keep drawing my hand up to my nose, not just because I have to think about the scent but because I find I want to experience it: because I'm enjoying it. One way out of the dilemma, then, is to just keep trying things that you know you don't like, because sooner or later, it's entirely possible that one of two things will happen: either your taste will change, allowing you to appreciate what you previously despised, or someone will find a way to employ the devices of artistry to make that despised thing palatable or even beautiful. You hate twelve-tone music? Yes, but have you heard Berg's Lulu Suite? 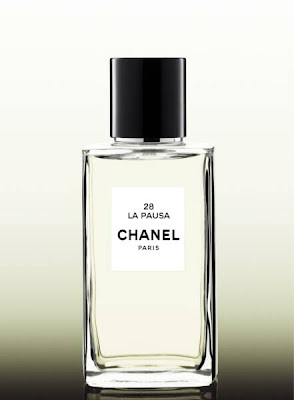 I don't love 28 La Pausa and I certainly wouldn't wear it; it hasn't made me reconsider everything I thought I knew. But it is extremely well-made; a glowing, pearlescent iris, very light, with a little splash of citrus, a tuft of greenery, a tiny haze of warmth at the base. There's is nothing strong, overblown, or dramatic about it, no great sillage, no complex structure. It is minimalist in the best way; high-quality materials assembled to be shown off to their advantage. As a consequence of this, the lasting power is ludicrous: two hours after you apply it, it's simply gone. 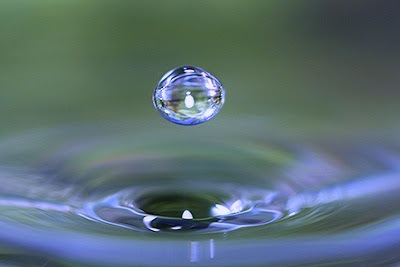 Since there isn't anything heavy about it, there's nothing to tack down the airy molecules. It's almost an iris cologne, and if you decide to spring for it (currently $190), you'll be glad it comes in a 200-mL bottle, because you will be reapplying it frequently. I try to post more often than I've been doing recently, but Jim had a couple of weeks off work so he was around the house a lot, and I can't really wear any scents around him except tiny amounts of harmless, inoffensive things like some Demeters or the occasional shot of a CSP vanilla. Certainly nothing like Sycomore. I wanted to like Chanel's Sycomore. It sounded on paper like the kind of thing I would like: vetiver. There are other ingredients, but most of the reviewers were in agreement that it was all about vetiver. Well, not to my apparently freakish nose it isn't. There's vetiver in there, all right, but it's blanketed--swamped, in fact--by a massive cloud of creamy wood. The whole scent seems to be composed of some amorphous cedar-sandalwood-rosewood object poached in a bath of heavy cream, with a thin core of vetiver, and it's suffocating: thick, lush, rich in a way that, to my surprise, I find almost revolting. Eventually the heaviness subsides and the vetiver becomes more evident, but by then it's much, much too late. I want out long before that's happened. In fact, the second time I wore Sycomore, a thought came out of nowhere, one I'd never had before: "I wish I were wearing Mitsouko." I didn't consciously stop and think, gee, I hate what I'm wearing, it should be something good; my brain just kind of said to me, hey, dude, something's not right here, get rid of it and put on something you like. Weirdly, the creamy-wood aspect of the scent made me think of Le Feu D'Issey, which marries a milky-woody accord to large quantities of rose, so of course I wore them both simultaneously to compare them. 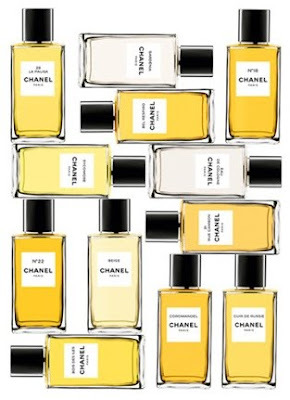 They aren't really that similar, as it turns out, and Le Feu, despite the fact that I think my bottle is starting to turn, is by far the better scent; milkiness instead of creaminess makes a huge difference, and the rose adds a freshness that even a Chanel vetiver can't match. Sycomore may actually be a good, well-made fragrance, and I know some people love it, but on me it could hardly be worse. Almost anything you could think of doing to it--add a citrus top, give it a floral core, dose it with pomegranate and litchee, for god's sake--would make it less oppressive than it is. You must have heard about the new Federal Trade Commission ruling that bloggers have to disclose any free merchandise they receive and subsequently review. All the perfume bloggers are talking about it: over on Now Smell This, of course, and on Perfume Shrine. Slate.com has a thoughtful piece about it. If you think about it for even a few seconds, you will naturally begin to wonder why bloggers are being held to a different standard than other media, and will ask questions like these: Will fashion magazines (which famously receive samples of every new product under the sun, including fragrance, and never ever write a bad review of said products) be held to the same standards? If not, why not? Since I'm Canadian, I am fairly sure that the long arm of the FTC doesn't reach into my home, but in the interests of full disclosure, here goes. I'm on the mailing list for Bond No. 9, so they send me samples of everything they do, and I review pretty much all of them (still working on their back catalogue): as it happens, their aesthetic kind of meshes with mine so I generally like what they produce, although if something of theirs is not good, I'll say so. I've received a small number of samples from other companies (Ormonde Jayne, Andy Tauer) or blogs, but always as the result of a contest. I've gotten some more samples from swaps with other bloggers. Everything else I have ever written about is something I bought with my own money (since I have hundreds of bottles of various sizes, hundreds more samples, and no self control whatever). Nobody's paying me to say nice things about their products. Why would they? It's not as if I have a readership of millions. I do this entirely for my own pleasure and, I hope, that of people who happen to stumble in here. That's not to say that if the marketers of the world want to besiege me with samples, I won't take them. In an ideal world I'd try everything that comes down the pike*; I don't know how long it would take to get royally sick of the parade of new scents, but I'd like to give it a shot. *Yesterday while out running some errands I sniffed, but did not even bother to ask for samples of because I knew what the answer would be, Armani's new Idole, Guerlain's new Idylle, Marc Jacobs' new Lola, and YSL's new Parisienne, and the reaction was the same in every case; Nah. Lola has a terrific bottle but otherwise no. Parisienne in particular is fairly awful, with a gigantic cranberry note stuck way out in front. Maybe it fades later on, but why is it even there in the first place? Just when I was really afraid that I was going to be giving Chanel a tongue bath for their entire wonderful gorgeous Les Exclusifs line, this comes along. No. 18 is supposedly based on ambrette, the musky-floral seed of a species of hibiscus, and maybe it is, but what I smell from No. 18 first and foremost is a piercing metallic shriek accompanied by a big slosh of iris, more of that Chanel iris that was in the classic No. 19 (which I also don't like) and in a smaller amount in Cuir de Russie, and obviously I am not the most level-headed person to be reviewing this scent because I don't like iris much to begin with, but this is truly dreadful. There's a wad of greenery that vaguely suggests olives, and some musk, and probably some other stuff in there, too, but I don't even want to think about it because for about the third time--I always wear things repeatedly, even bad things, several times before I feel as if I can write anything about them--I need to go and wash this off. I honestly don't know what else to say about the thing. If you like iris, perhaps you will like this. (Some people do, of course.) Otherwise, seriously, steer clear. And now I must go and scrub myself.